A short jaunt to the Bay Area found me in Campbell, a small suburb of San Jose. 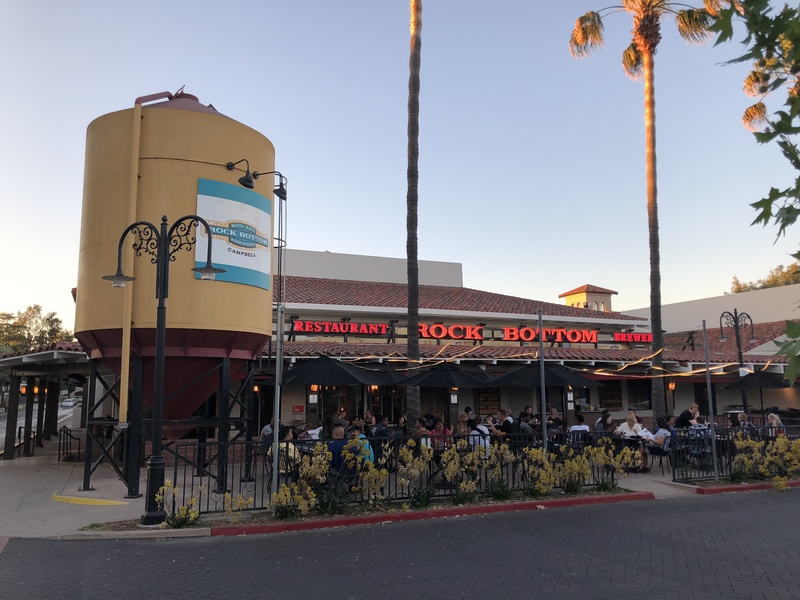 I joined a colleague for dinner at a little brewpub called Rock Bottom. It’s in a small cluster of restaurants. 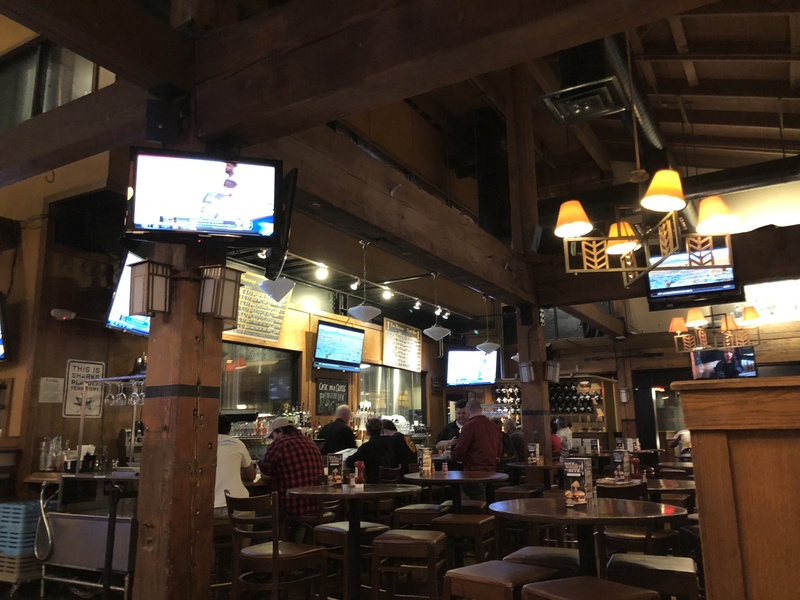 The atmosphere is your typical American brewpub/sports bar. 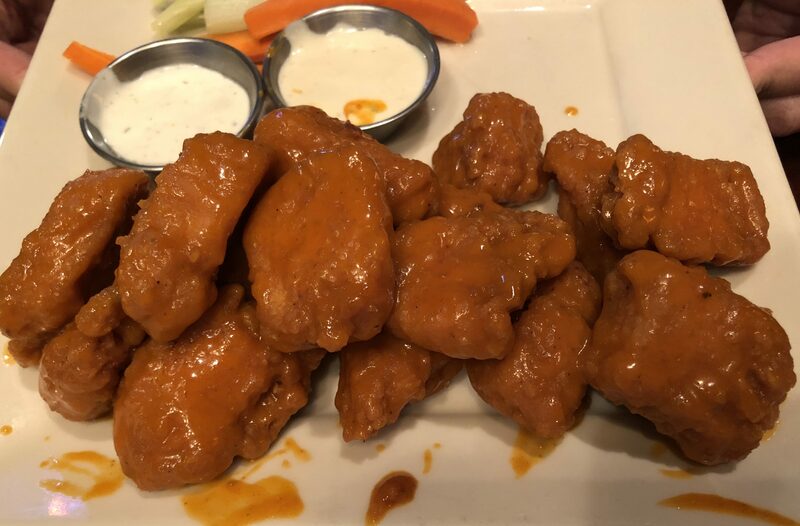 We started our with some Buffalo Nuggets. I really do miss Buffalo Wing Sauce living in Singapore. This brought me back. Not exceptional, but it does the job. Then I went for the heart attack special. 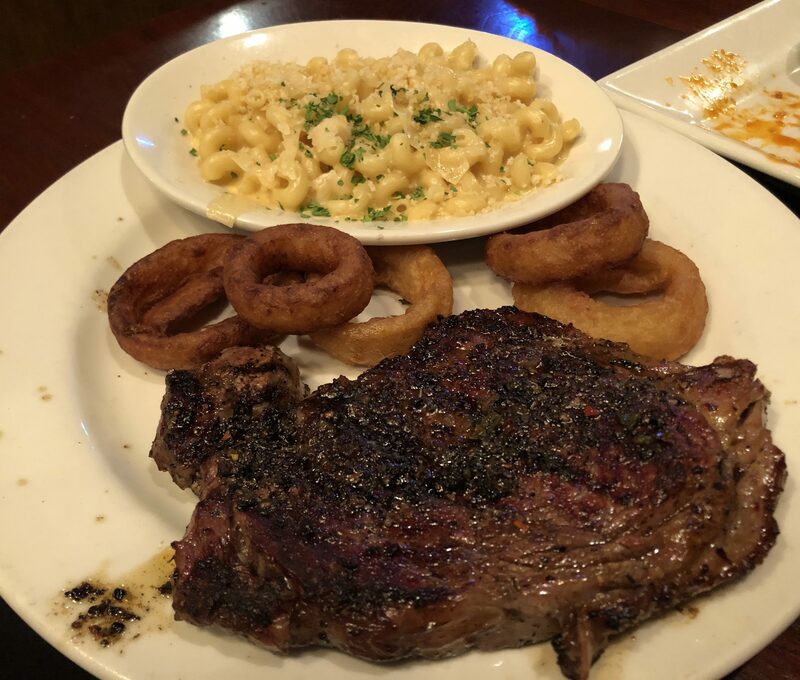 A Flaming Ribeye, which is with Jalapeno Butter and Pepper, Mac and Cheese and Onion Rings. Fat. Die. Me. Typical American fare. I do miss it. Posted in Beef, Macaroni and Cheese, San Francisco/Oakland/Bay Area, Steak, WingsTagged American Cuisine, Bay Area, Mac and Cheese, Ribeye, San Jose, Steak, USABookmark the permalink.